The couple announced their engagement over the weekend on social media. 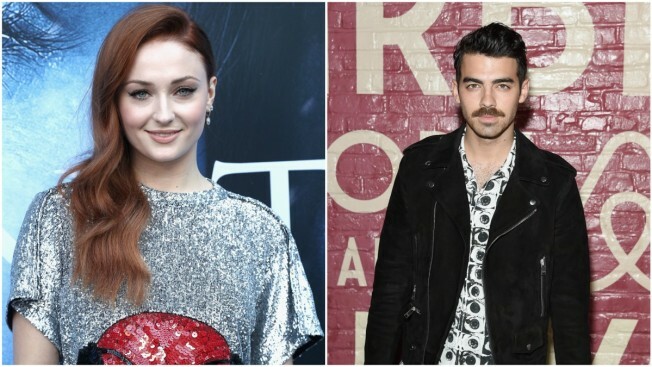 "Game of Thrones" fans may have to wait several months to find out the ultimate fate of Sansa, but actress Sophie Turner is crafting her own happily ever after in real life. The star announced her engagement to boyfriend Joe Jonas on Instagram on Sunday with a simple photo. Jonas posted an identical photo on his social media account. Several of Turner's "Game of Thrones" co-stars, including Maisie Williams and Lena Headley, congratulated the couple on their pending nuptials. There might be something in the water on the "Thrones" set. Turner's announcement comes just weeks after co-star Kit Harington announced his engagement to former "Game of Thrones" co-star Rose Leslie. The 21-year-old Turner has starred as Sansa Stark on "Game of Thrones" since she was 15. She played Jean Gray in last year's "X-Men: Apocalypse" and will reprise the role in a follow-up next year. Jonas shot to fame with his siblings as part of The Jonas Brothers. The 28-year-old now fronts the pop band DNCE.